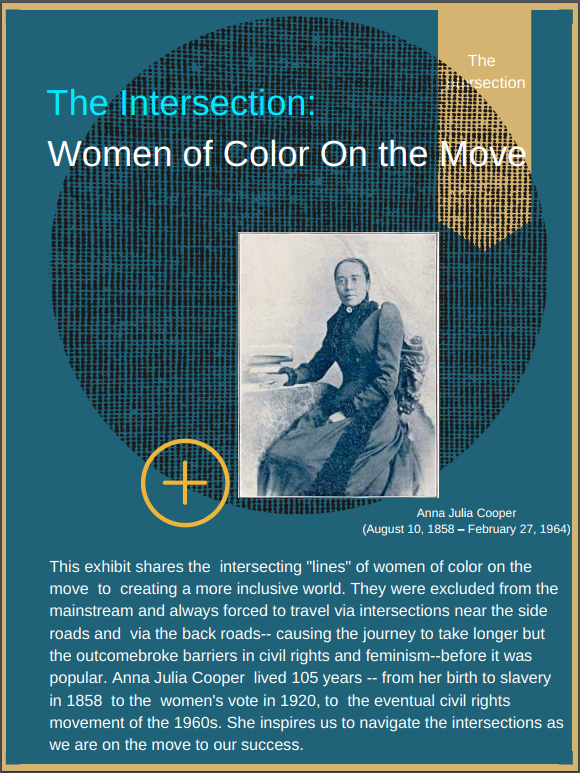 This exhibit,“The Intersection: Untold Stories of Women of Color On the Move,” explores the intersecting “lines” and worlds of women of color on the move to create a more inclusive world. Through their untold stories, we all can learn more about history, issues, trends, perspectives, motivation and courage. The exhibit (shown in part on the website) is available for presentation at your location when schedules permit. Please let us know if you would like to present it and host a conversation. The exhibit also includes options for an interactive lecture, workshops, dialogue sessions, and talk shows. For more information on this exhibit and its related programs, please call Janine Fondon at (413) 221-7931 or send email to jfondon@gmail.com.